Ever since we made these homemade microwave caramels are have been fans of making food using the microwave oven – it can actually be really easy. Therefore, we also love these delicious and very crisp microwave potato chips. 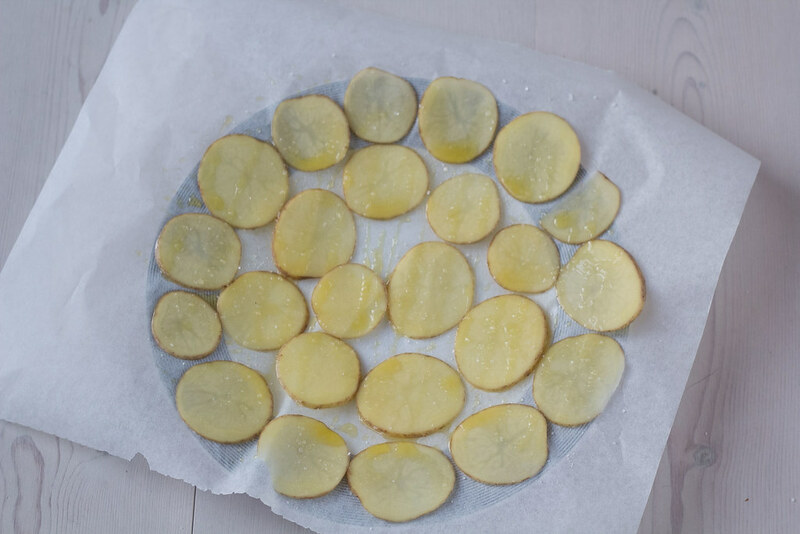 From start to finish it only takes about 15 minutes to make a batch of these potato chips. While the chips are cooking in the microwave oven you can prepare a delicious dip, if you like that together with the chips – we personally prefer some kind of dipping for our chips. 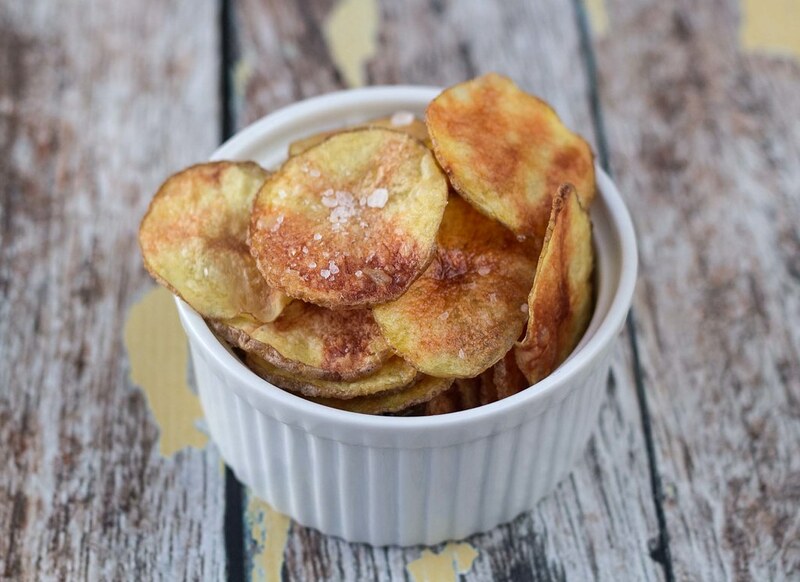 The potato chips get a delicious taste from the sea salt and they get real crisp – we absolutely think these chips are a great substitution to the chips you can buy at the supermarket or gas station. 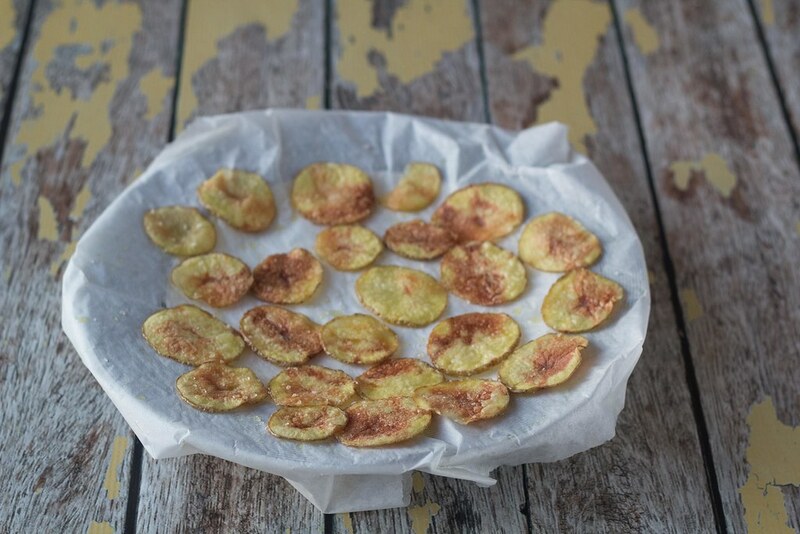 The great about these chips is that if you get hungry for potato chips you don’t have to go to the supermarket – you simply just make some yourselves. 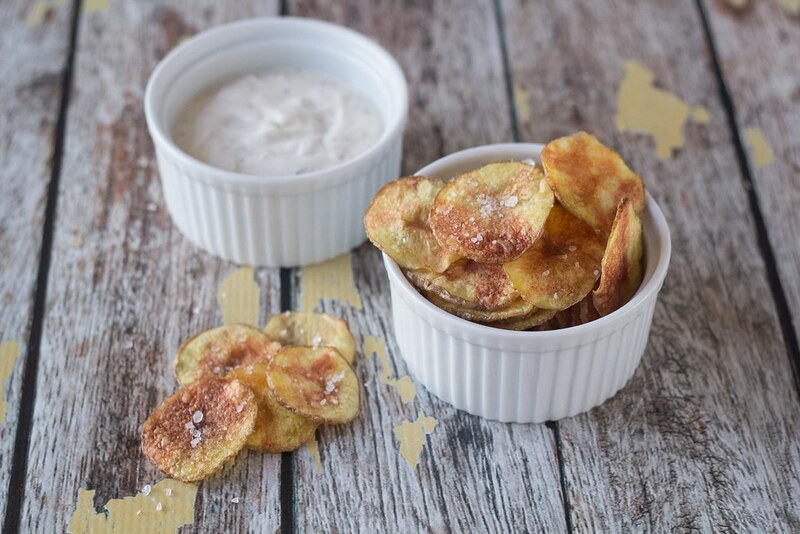 The homemade serving is also usually smaller so you do not get the same amount of calories compared to an entire bag potato chips from the super market. 1. 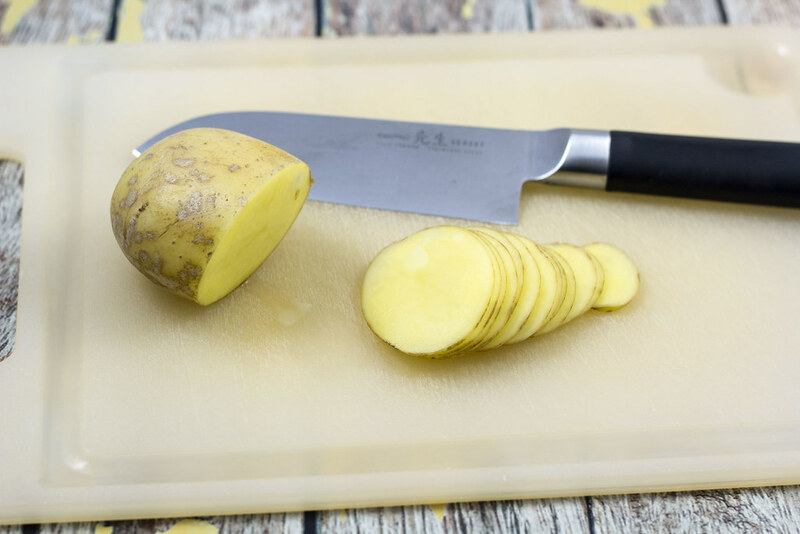 Wash the potato and cut it into very thin slices – as thin as possible. If you have a grater/shredder with a thin blade you can use that. We cut ours using a sharp knife. 2. 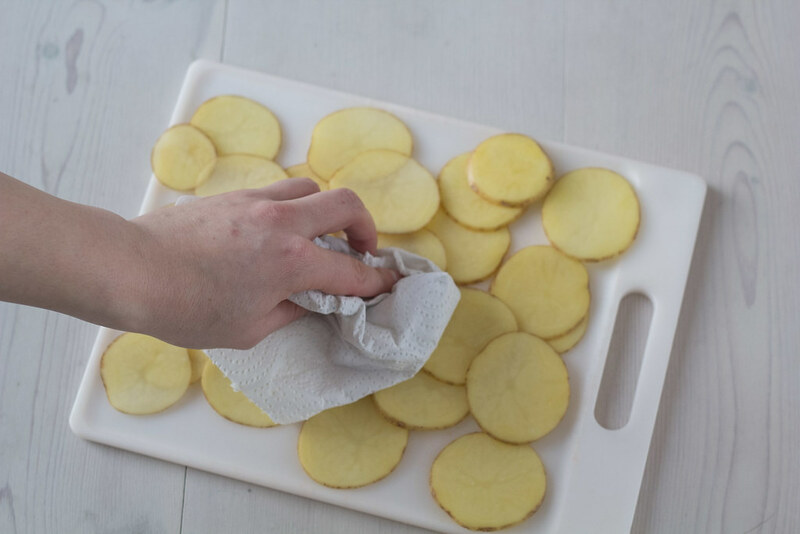 Dry the potato slices using a sheet of paper towel. 3. Place a sheet of baking/parchment paper on a microwave proof plate. 4. Drip/spray a little oil on the baking paper. 5. 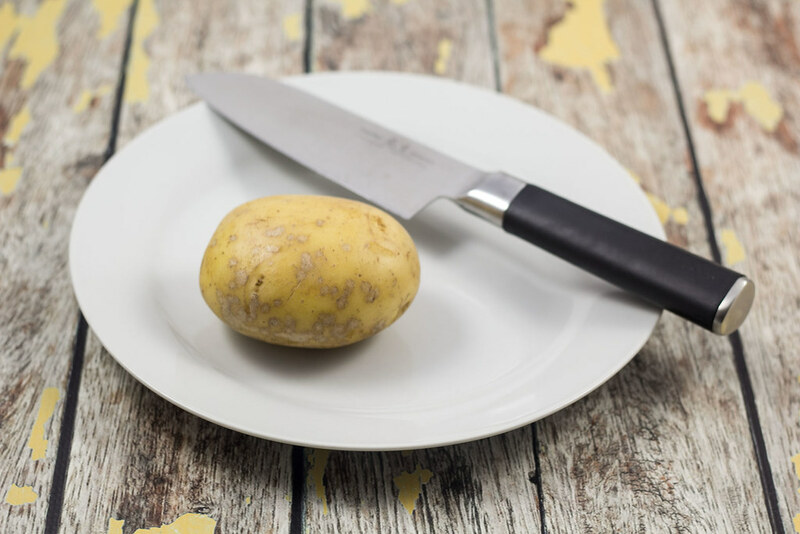 Place the potatoes in one layer and side-by-side on the plate. Drip/spray some oil on top of the potatoes and sprinkle with salt. 6. Microwave the potatoes for about 6-9 minutes at full power. Watch the potatoes from time to time. The time is highly depended on the quality of you microwave oven. 7. The potato chips are done when they are light golden and semi-crisp. 8. Remove the plate from the microwave oven. Let the chips cool off a bit and they should become nice and very crisp. Serve the chips with some delicious dipping.